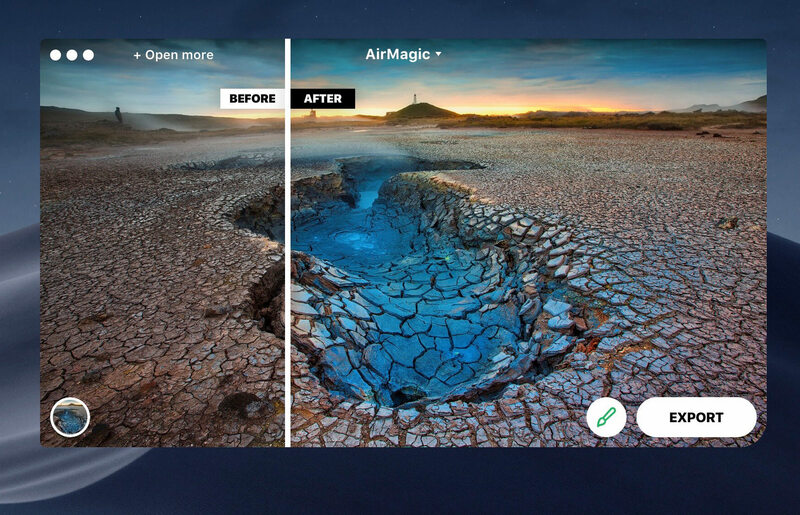 Powered by AI and advanced algorithms, AirMagic improves your aerial photos automatically. Simply drag & drop all your pictures to the app, and let technology do the work. AirMagic engine detects the camera type used on your drone to produce the image and makes lens corrections or other optimizations specific to that camera.